A safari at sea! Revel in a sumptuous lunch at Maggie Beer’s Farm, sample the many delights of famed Kangaroo Island and wash down oysters with champagne in beautiful Coffin Bay. Then mix-in cage diving with great white sharks and some of Australia’s most reliable fishing action and, you’ve got a safari with a difference! Includes return flight from Ceduna to Adelaide. Start your cruise with a difference! Our comfortable coach will collect you from the doorstep of our partner hotel and deliver you to the foothills of Adelaide. Together with stunning views of the city, Penfolds’ Magill Estate also offers breathtaking views of its vines - the perfect setting to immerse one’s self in Australia’s most iconic wine label! 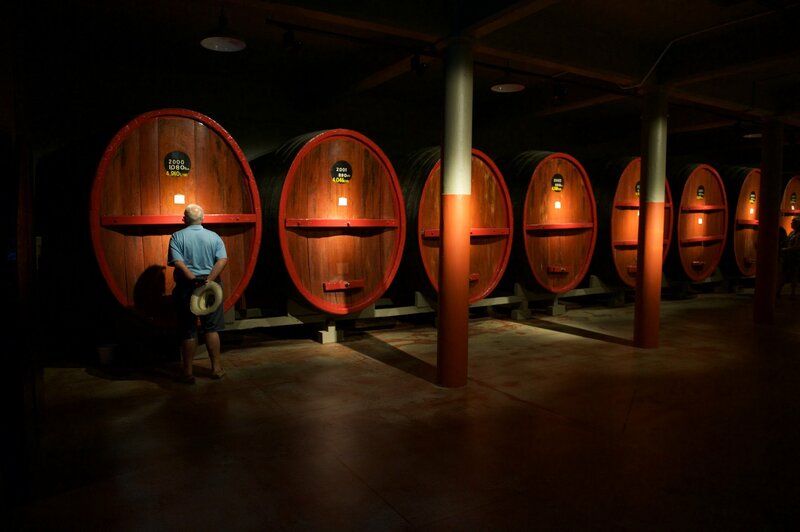 Discover historic Magill Estate - the birthplace of Penfolds with a rich history dating back to 1844 and, indulge in a luxurious experience of storytelling and tasting. Continuing with a theme of iconic influences, next stop is The Farm Eatery - the home of Australia’s kitchen queen, Maggie Beer. In the early 1970s, Maggie and her husband moved to the Barossa Valley and established The Pheasant Farm Restaurant. Over the next 20 years the restaurant made a significant contribution to South Australia’s growing reputation for fine foods and Maggie continued to follow her dreams becoming a grower of gourmet produce, an established TV personality and writer of all manner of cooking journal. The Beer family chefs will deliver a sumptuous lunch followed by a unique interactive and educational opportunity in the kitchen. The Farm Shop is also an opportunity to purchase seasonal delights produced in an adjoining kitchen. A reverie for every lover of quality tastes. After a leisurely meander through rural South Australia it’s time to welcome you aboard the mighty True North! 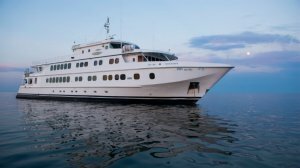 Enjoy a welcome aboard cocktail, settle into your cabin and indulge in more culinary delight as we begin the evening cruise to Victor Harbour. Join us for the experience of a lifetime at the Oceanic Victor in-sea aquarium. Get up close and personal with giant southern bluefin tuna – one of the fastest fish in the sea! Or take advantage of the undersea observatory and enjoy a spectacle of Australian marine life without getting wet. There will also be opportunity to take a stroll around the charming township of Victor Harbour. 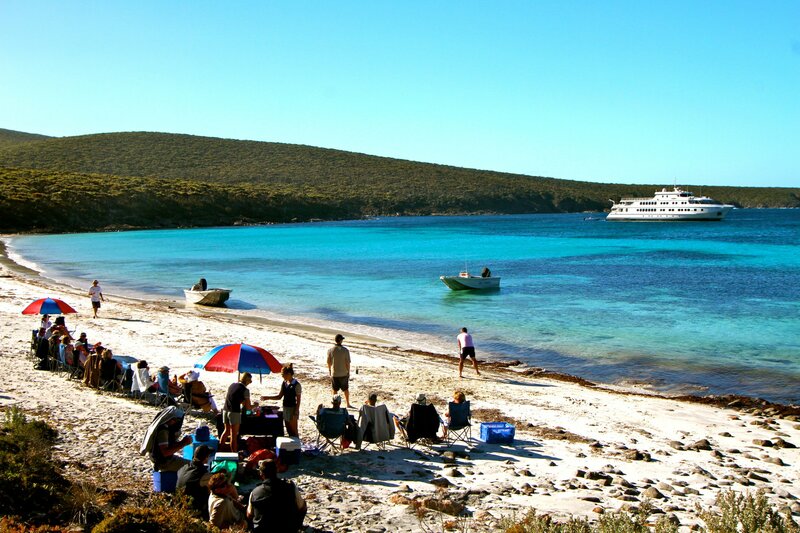 This afternoon we will explore Kangaroo Island’s stunning Dudley Peninsula. The True North will anchor in picturesque Redhouse Bay before the adventure boats depart for an afternoon of sightseeing, beach combing or fishing for the highly prized King George whiting. 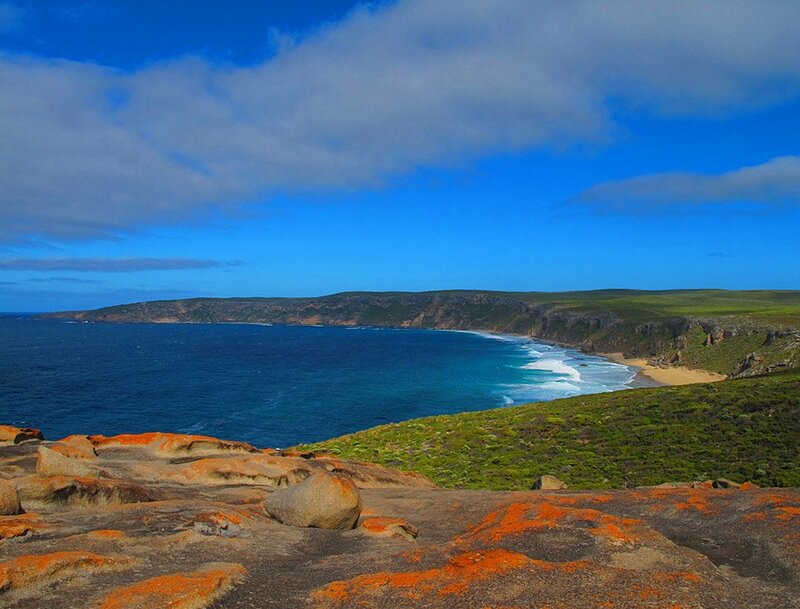 Kangaroo Island - one of the earth’s last unspoilt refuges! Much of the island’s native bushland remains undisturbed and more than a third of the island has been set aside for conservation. And the ‘locals’ include some of Australia’s most distinctive identities – koalas, platypi, echidnas, sea lions, penguins, goannas, kangaroos and wallabies. The island is also distinctly beautiful featuring pristine beaches, rugged coastal cliffs and sleepy seaside cottages. Join a ‘road-trip’ to the island’s south-western tip and, the Flinders Chase National Park. The Remarkable Rocks are impressive natural sculptures and the boardwalk to The Admirals Arch delivers equally stunning vista. There are several vantage points to view the local seal colonies. 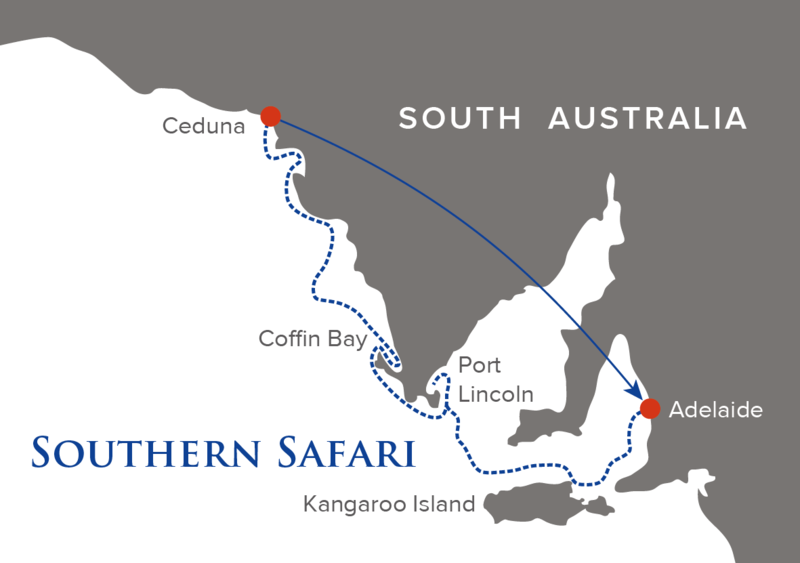 Then re-join the True North at Kingscote and savour a lunchtime cruise to American River. This quiet fishing village is neither American nor a river. The village was named after a group of American sealers who landed here in 1803 and then mistakenly referred to the area’s narrow inlet as a river. The area is renowned for bird-watching and it’s also a great spot to wet a line! Best of all – American River provides us with a stunning and tranquil overnight anchorage. Today we explore Kangaroo’s stunning north coast – where farmlands roll onto sandy coves. Visit Emu Bay, Stokes Bay, Cape Dutton and Cape Forbes. Fill your day with snorkelling, beach combing and close encounters with seals and dolphins. Fishing for ‘monster’ whiting will also be popular! 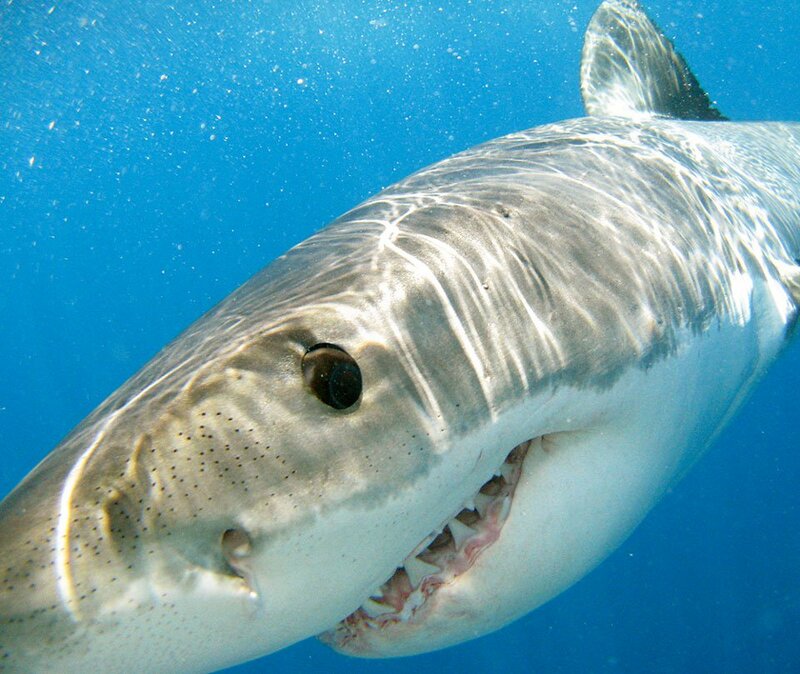 Have you ever wanted to cage dive with great white sharks – well this could be the opportunity that you have been waiting for! Join our experienced local operator for a once in a lifetime opportunity to see huge white sharks up close and in their natural environment. If diving with white sharks is not exactly your ‘cup of tea’ – there will be ample opportunity to engage in activities somewhat less confronting as we explore the Gambier Islands. Perhaps it’s time for a spot of fishing in a secluded bay! Our guides are practiced at introducing local fishing techniques to both the beginner and expert alike! And with multiple adventure boats at our disposal – take advantage of small groups and personal assistance. Target species in-close include the delectable whiting and out deep, ‘double-headers’ of pink snapper are not uncommon. Our schedule will also include morning and afternoon sightseeing excursions - our knowledgeable guides will be happy to introduce the local history and geography. In the late afternoon, join the crew at historic Memory Cove for beach drinks and hors d'oeuvres. Wake this morning in beautiful Coffin Bay. The area is widely admired for its pristine beauty – endless tranquil bays fringed with sandy beaches and surrounded by national park. 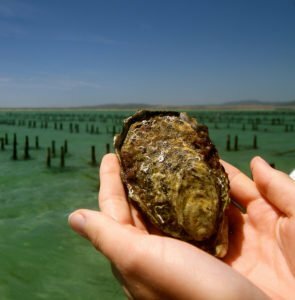 Take a hike in the Coffin Bay National Park; visit the Coffin Bay town site and enjoy a ‘Tour and Taste’ event – discover Pacific and native angasi oysters and sample them fresh from the panel, washed down with a glass of bubbles of course! The True North will anchor at Farm Beach in the afternoon – here you will have the opportunity to take to the skies on a scenic helicopter flight! Enjoy first class views over Coffin Bay and the coastline of the Great Australian Bight – featuring ancient cliff tops, turquoise waters and extensive stretches of white sandy beach. This evening our chefs will create a selection of delectable South Australian inspired dishes. Enjoy a relaxed alfresco style dinner on the TRUE NORTH’s bar deck. 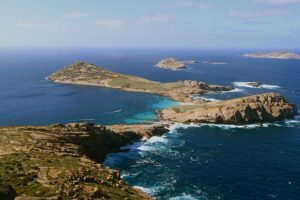 Welcome to the Pearson Islands – remote islands on South Australia’s west coast that have changed little since they were first discovered by Matthew Flinders in 1802. They are well known for producing giant whiting however big Australian salmon and flathead are also common inshore. Out in the deep, snapper, blue groper, bluefin and kingies will challenge the most determined angler! Explore the islands, have a swim on one of the many inviting beaches or visit the local seal colonies. And for a cruise highlight - join our local ranger for a hike to the top of the island. Rated 10/10 in difficulty, this walk is not for the faint hearted however the striking views are well worth the effort! 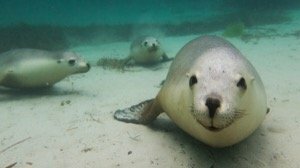 At night the seals are known for catching fish attracted by the ship’s lights. 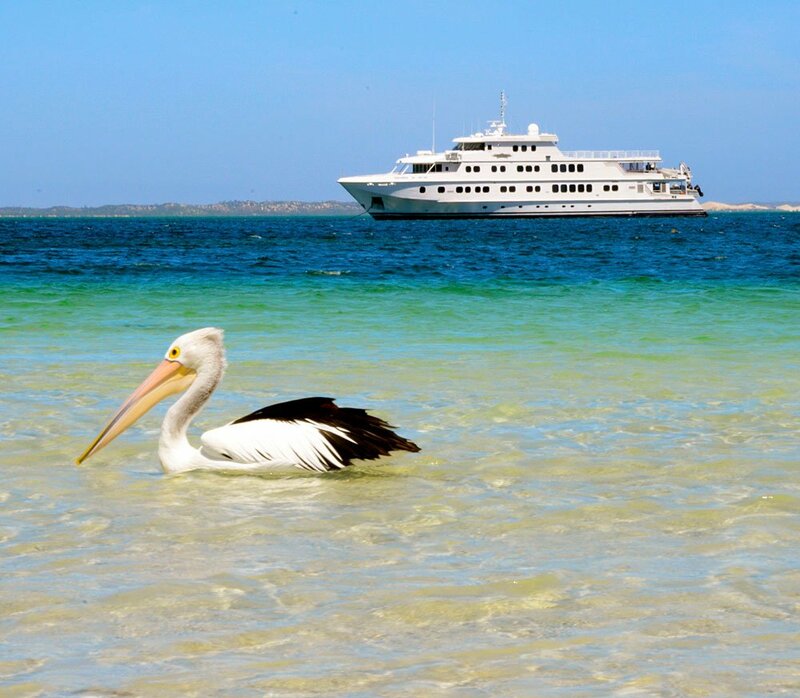 The picturesque township of Streaky Bay is situated on the western coast of the Eyre Peninsula. Morning activities include a visit to the National Trust Museum – discover the fascinating history of pioneering families and the sailing exploration of the area. Or jump-in an adventure boats and set off in search of the revered blue manna crab! This afternoon we visit the Franklin Islands. The islands feature many sheltered bays – home to countless shearwaters that nest in shallow burrows. Spend the afternoon exploring, fishing, snorkelling and diving as you prepare for your last night on-board the magnificent TRUE NORTH. Early morning disembarkation in Smoky Bay followed by a short (30 minute) bus transfer to Ceduna and light aircraft transfer to Adelaide. You promised and wow did you deliver. Such a special experience that has imprinted lifelong memories. The crew on this trip are a credit to the company, themselves and Australia. Thank you, thank you, thank you! Our first trip with True North and a wonderful experience – we enjoyed it so much that we have booked for next year, bring on more of the same excellence!